Expires in 2d . Last validated 4wk ago . Used 6 times. Erick Christian Valera I am validating that this deal works as described. 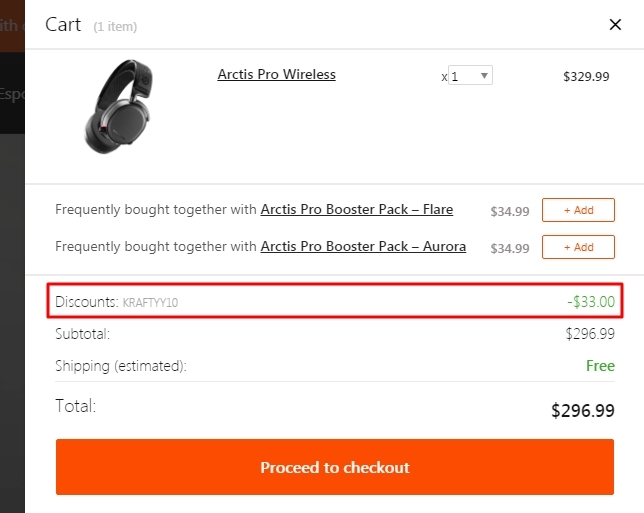 Just enter the page, apply the promotional code at the time of purchase to receive 10% Off Any Order at SteelSeries (Site-Wide). David This deal works as described. 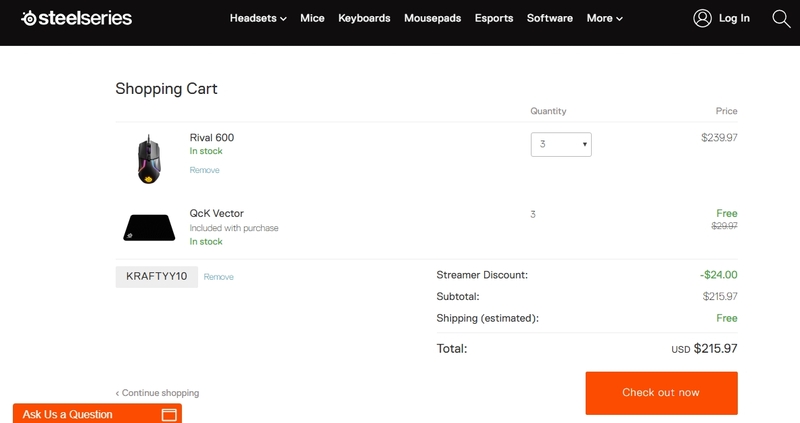 Go to the web site, add your item to cart, proceed to checkout, enter promo code <Kraftyy10> and get 10% off any order at SteelSeries. 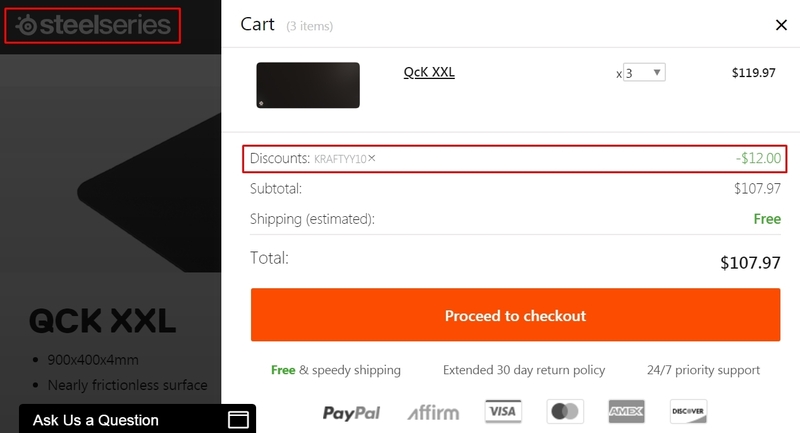 Carlos Planchart I have tested this code and it works as described, place the code at the checkout process and enjoy the discount. 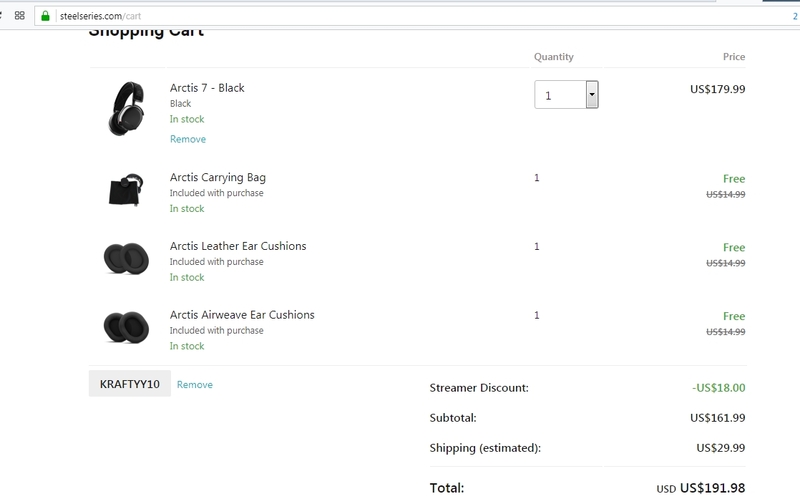 Morelba Araujo This promo code is properly working, all you have to do is copy and paste the code at checkout to earn 10% off.